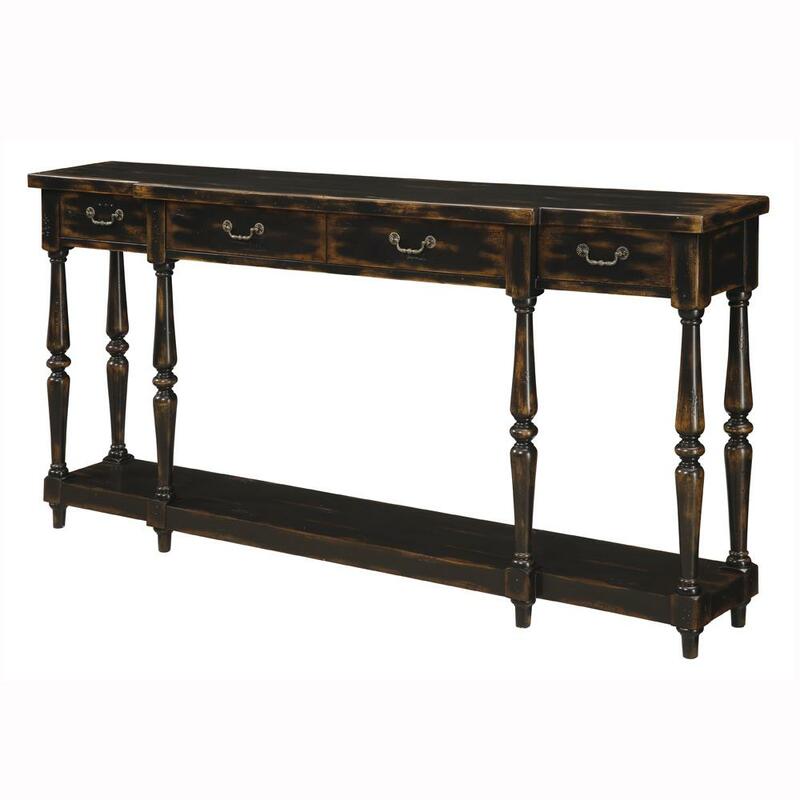 With a breakfront design, this console has a beautifully done Apperson Black finish with a rub through look for added interest. There is lots of storage in the four drawers and plenty of display space on the open shelf below. The elegantly turned legs add attractive detail to the simple lines. The Accents by Andy Stein Console Table at Ruby Gordon Home in the Rochester, Henrietta, Greece, Monroe County, New York area. Product availability may vary. Contact us for the most current availability on this product. The Accents by Andy Stein collection is a great option if you are looking for Contemporary Traditional Casual Cottage Coastal furniture in the Rochester, Henrietta, Greece, Monroe County, New York area. Browse other items in the Accents by Andy Stein collection from Ruby Gordon Home in the Rochester, Henrietta, Greece, Monroe County, New York area.